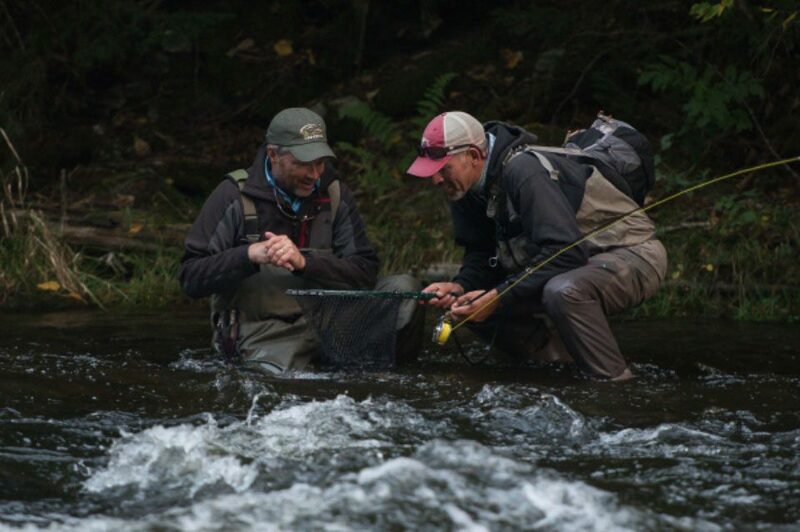 Recently On The Water magazine came up to fish with our fly fishing guides, Bill Bernhardt and Greg Inglis. The Connecticut River was running at higher than normal flows due to autumn tropical storms dumping lots of rain on the entire East Coast. 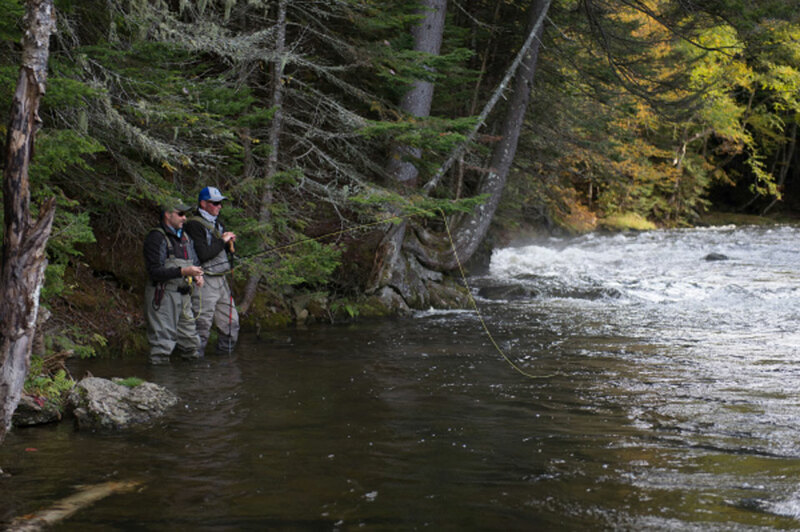 The Upper Connecticut River has tailwater dams on the Connecticut Lakes so the fishing was on. 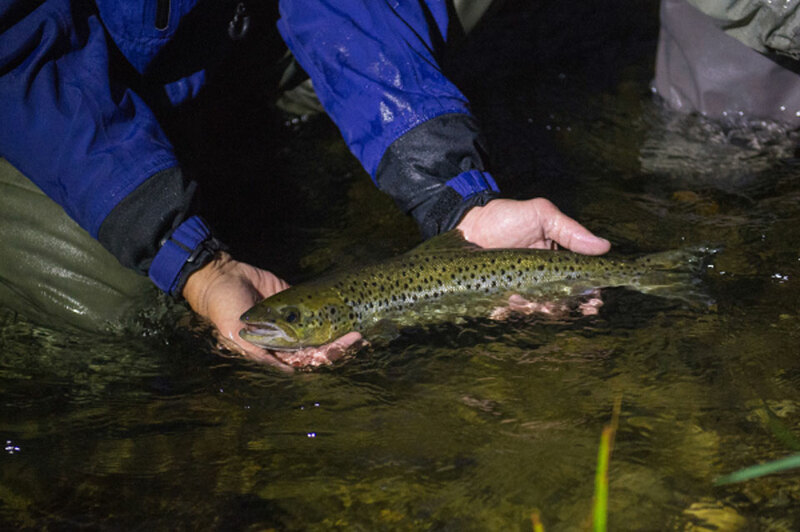 The river below the dams until the first tributary is always clear and fish-able no matter the river flows. 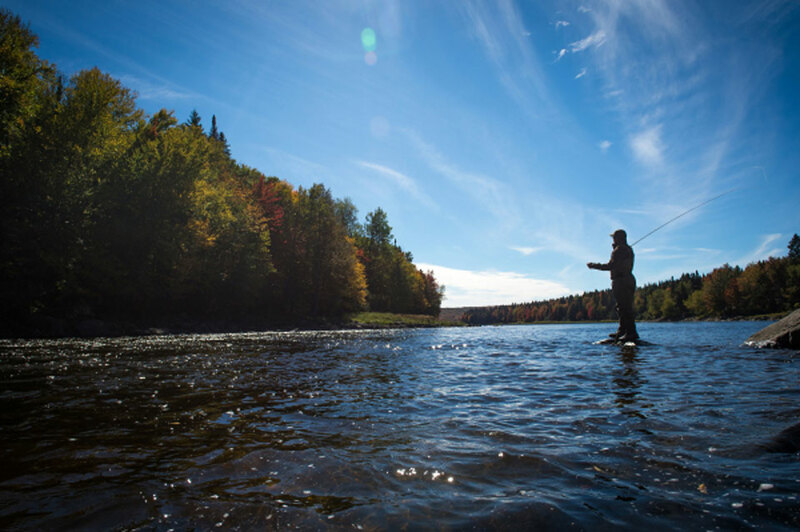 Autumn is a great time to fly fish for land-locked salmon in the Connecticut Lakes Region. Salmon run into the Connecticut River from the lakes to spawn. The crew from On The Water fly fished the ‘Trophy Stretch’ and the no-kill stretch of the Connecticut River. The ‘Trophy Stretch’ is the section of the Connecticut below the First Connecticut Lake Dam and above Lake Francis. The no-kill section of the Connecticut is located below the Second Connecticut Lake Dam and above First Connecticut Lake. Check out their blog post that details their trip here.